So in Death on the Reik you get a boat, technically a barge. I don’t think that’s a spoiler. The barge remains one of my favorite plot devices and it holds this extended campaign module for WHFRP together. I remember many great scenes from this campaign, but one stands out for me. The group sailed down the river in the wake of a torrential rainstorm. The banks of the Reik had flooded and swathes of damage remained visible. Some victims had been caught in flash-flooding and wash outs. I described the aftermath in detail, trying to convey the sense of desperation and the smell of it. It helped that the house we played at was less than a hundred yards from a river. In the summer the stink settled over everything. So I painted a delightful word picture, ending on a fairly graphic description of a bloated and floating cow carcass bouncing lazily off the side of the barge. The PC priest, Yorich Skrull, spoke up. 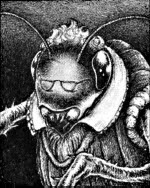 He served the god of knowledge S’ave Knor, part of the slap-dash cosmology I’d assembled when building the campaign world I dropped Death on the Reik into. In any case, Yorich’s player looked around the table and asked for help in dragging the cow’s horrible dead body up on deck. A brief discussion ensued. Yorich’s player was legendary for coming up with strange plans, some might say counter-intuitive, others insane. Finally the rest of the group pressed him- exactly why did he want them to haul this horrible bovine corpse onto their ship? “Ah, because I’m going to cook it for dinner.” Yorich’s player responded. He had been in charge of provisions and the like for many months. “Wait…even if you purify this thing of the rot, it still will be…it still will taste…” I could see the other players begin to become uncomfortable. Which was true. His player had been doing this pretty much from the start. As you can imagine the table exploded. One outraged player shouted that he’d never eaten Yorich’s cooking- he never would have. Others simply gagged at the thought of it. When I think of The Enemy Within Campaign, I’m really thinking of Death on the Reik. Other entries in the series have great elements and even sublime bits that stand out. But DotR nails it. More than an adventure, it is a campaign in itself. It shows its Call of Cthulhu roots pretty clearly- with the fingerprints of classic modules like Masks of Nyarlathotep and Shadows of Yog-Sothoth across it. It isn’t perfect- it has some linear elements requiring the players to follow certain paths. But it also combines that with the open framework of river travel. DotR provided many, many sessions of great fun for my campaign years ago. Rereading it from a modern perspective, it remains awesome. I originally ran from the boxed set of Death on the Reik. That contained an 88-page main booklet, the sixteen-page “River Life of the Empire,” a double sided map with the adventure region on one side and the final castle on the other, plus pages and pages of handouts printed in dark purple ink on tan paper. Several other versions exist- a hardcover GW version, the Warhammer Adventure compendium (which includes the pullout map), and a later Hogshead reprint. All of have left of my boxed set are a few stray handouts and the "River Life" booklet. The Warhammer Adventure collection is a decent replacement, but doesn’t quite have the same feel for me. I regrettably cut out some of the handouts when I ran a version of this years later. These days you can print everything out easily; I really wish I’d at least photocopied the material rather than going at the book with scissors. There’s a lot of material in both booklets- and the layout keeps up with that. The text design and standard two-column format makes the information accessible. Handouts are reproduced in the text, making it easy for GMs to remember what they’ve given the players. Boxed text for NPCs takes the time to explain their motivations and how to play them. The illustrations by Martin McKenna are outstanding. I like GW sourcebooks with diverse artists, but here having a single person doing nearly all of the interior art pulls the book together. I like how literal the art is- most of the images could be copied and shown to the players to illustrate a place, person, or situation. Finally the writing remains strong and consistent...with a couple of exceptions. If you’re cool with goofy references and in jokes, especially among names, then it won’t bother you. If not, you may be a little put out. “River Life of the Empire” remains one of my favorite pieces of secondary gaming material. 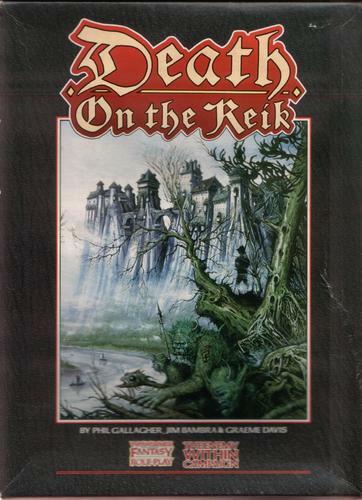 The campaign spine of Death on the Reik requires the players be on the river and involved with the sights and sounds of it. 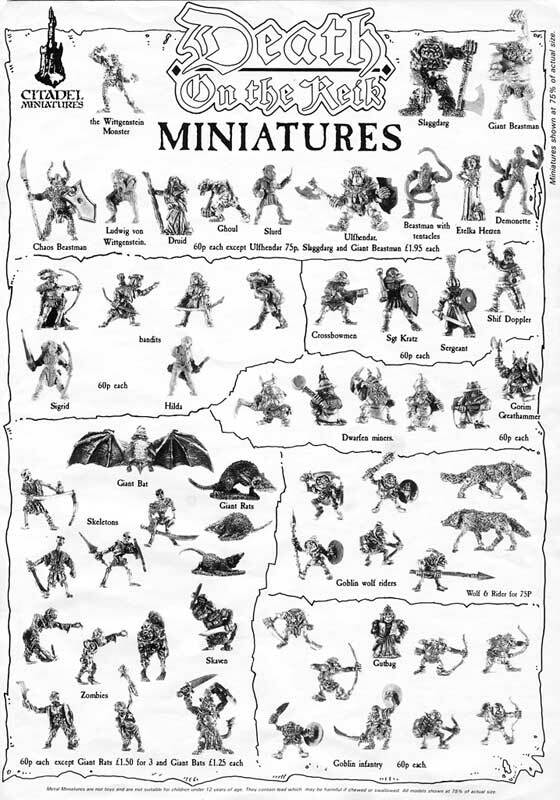 RLotE offers ideas and materials for that, useful well beyond the bounds of DotR or even Warhammer Fantasy. The concepts here could easily reframe a campaign, and extend the lifespan of the adventure hugely. So much so that when Hogshead republished the sequel module to this, the first thing they did was bring that to a halt (but we’ll come back to that in the next review). RLotE does what the best supplements do- puts the tools to create a larger, open, and more interesting world in the hands of the GM. The booklet weighs in at a slight twenty pages, with two of those given over to a cover illustration and table of contents. It opens with an overview- suggesting ways the GM can use the material, especially building encounters. Mechanical details follow- like how to handle tests for boating, weather, and damage to the ship. The critical hits discussion (complete with awesome spot illustrations) is great. Next the book lays out some sample encounters, with a random chart for them. Most of these are given a couple of paragraph description, but there’s an extended example (The Maria Borger) with some classic bits. Standard encounters include floating parties, gypsies, pirates, and so on. The four-page pullout section discusses the kinds of people met on the river and offers diagrams of boats. A little under two pages explains how locks work- and how that can be played out at the table. An additional set of encounters, focused on NPCs offers even more ideas for adventures. GMs could put on many diverse sessions with just the material in these sections. Finally RLotE wraps up with two pages of trading rules. These are fairly simple and abstract- exactly as they ought to be. They have enough detail to layer some color on, but not too much to require an spreadsheet. If you’ve read Death on the Reik, then you know what you think. 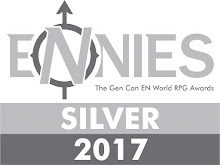 I know I enjoy it immensely as a campaign module. If you haven’t read it, unlike many of my reviews, I don’t want to spoil it. So I hope you’ll indulge me as I “talk around” the adventure. Let me give you a sense of the general shape of it. They talk about the really strong points of it. By doing so I hope to give you a sense of whether or not this is something which would fit with your game, your style, and your taste. As with the rest of the Enemy Within series, the set up posits a fairly low-magic world. Running it in a different context will require some work. But I can imagine it function with a retro-clone like Lamentations of the Flame Princess, as an extension of ideas from Strange Aeons, or perhaps even Conspiracy of Shadows. I ran it in GURPS and I’ll mention again Chris Flood's great series of session reports detailing his experiences running it in HeroQuest. Modern GMs have the advantage of being able to rework and adapt the handouts more easily when porting the adventure over to a new setting. I ran this before easy access to DTP and had to change my setting or hand correct details. Death on the Reik has a number of basic hooks- including ways to move from ShadowsOver Bogenhafen to this. Playing SoB isn’t necessary, but allows resonance for certain plot devices. Not doing so requires some retinkering, and the 88 page adventure booklet does a good job of setting that up. The gist of it is that the players end up pursued by chaos cultists and eventually end up in control of a barge on the river Reik. They have a number of options at this point- the ‘fun and games’ section of the story. The GM may wish to slowly build up the details or thrust the players quickly onto the path. The PCs end up in pursuit of a Chaos Cult and mysteries surrounding their actions and purposes. 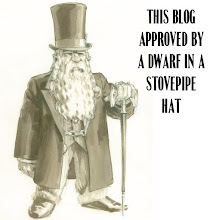 Eventually they get involved with a Dwarven group, which in turn leads them to the site of a chaos happening which offers clues to the horrors. They make their way through other obstacles (and red herrings) before ending up at the Chaos-infected estates of those they hunt. There they must deal with a village and land beset by mutations and awfulness. If they manage that, they can make their way into the castle of horrors. It is like Lovecraft by way of Clive Barker- like the family drama and creepiness of Castle Amber turned up to 11 and then doused with ichor. The castle’s great- with all kinds of unpleasant details and rooms which make any particular running of it completely different. That part of the adventure alone takes up 28 pages of the book, not including the fourteen pages covering the village and surrounding areas. The players can take many approaches to dealing with the castle denizens. The book simply puts the material out there- giving the party plenty of room to hang themselves. This is really a supernatural-horror fantasy scenario, with the players in pursuit of a great evil perhaps a little beyond their means. At the same time, if they play smart they can really bring a solid defeat to the forces of chaos. Some GMs may wish to play this more overwhelming, in a truly purist Call of Cthulhu vein. Others many want to go more pulp- with swords striking against the darkness. One beauty of the set-up is that it lends itself to either approach. While the spine of the story and plot arc remains rigid, how players deal with any particular section stays open. The scenarios the players face along the way are interesting, clever, and satisfying. They offer a great tour of both the Warhammer mythos and of different places in the region. The traps and plots twist and turn nicely without being convoluted. Most importantly to me, the NPCs have real life to them. They feel fully fleshed and interesting. Even the most secondary of them feel complete. The bad guys are bad, the scumballs are scummy, and yet they feel like dynamic characters. It all works for me. Plot, background and NPCs- those elements together make DotR awesome. Great review man, and very helpful for the would-be purchaser now that Cubicle 7 has republished the PDFs.